Sophomore Sidney Avery scores 12 points in loss. 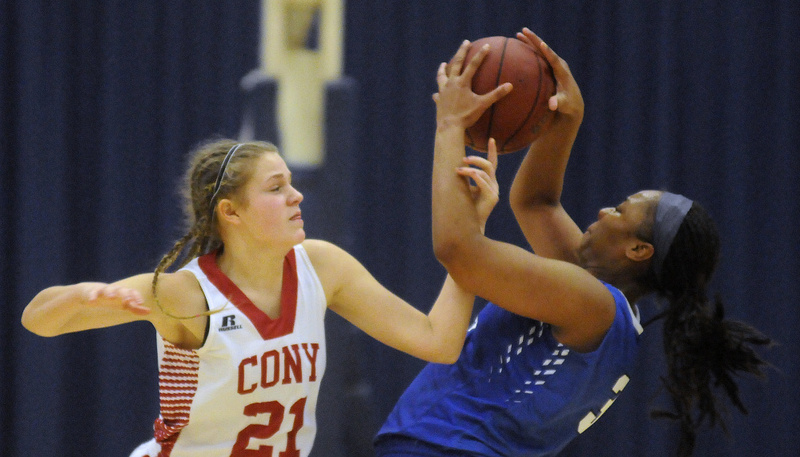 AUGUSTA — There will be no easy nights for the Cony girls basketball team this season. The Rams are young, inexperienced and learning painful lessons as they strive to improve. 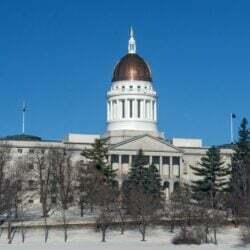 Thursday at the Capital City Hoop Classic, they struggled taking care of the ball and fell 63-32 to Lewiston in a countable, regular-season game. Lewiston improves to 3-2 while Cony falls to 0-6. 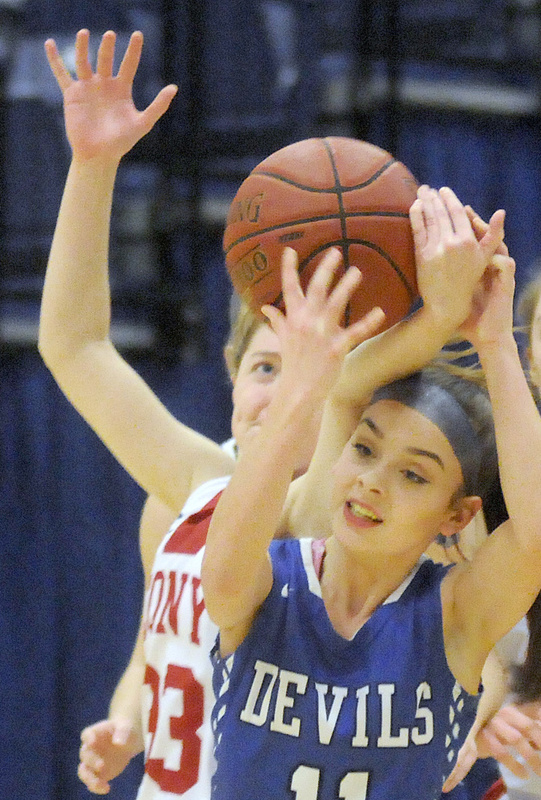 The Rams hung with the Blue Devils in the early going and led 8-7 on a 3-pointer from Allee Cloutier, but turnovers were already mounting quickly. They committed 16 in the first nine minutes and finished the game with 35, some of those forced by Lewiston’s full-court pressure and others the result of inexperience. The Blue Devils finished the quarter on a 14-3 run to take a 21-11 lead at the break. The Rams didn’t score a point in the second quarter and trailed 30-11 at the half. Lewiston has played inconsistently this season but looked fairly solid against the smaller Rams. The Blue Devils got strong games from their two inside players, Morgan Eliasen (nine points) and Victoria Harris (11) and a big boost from freshman point guard Hannah Chaput, who scored a game-high 16 points. 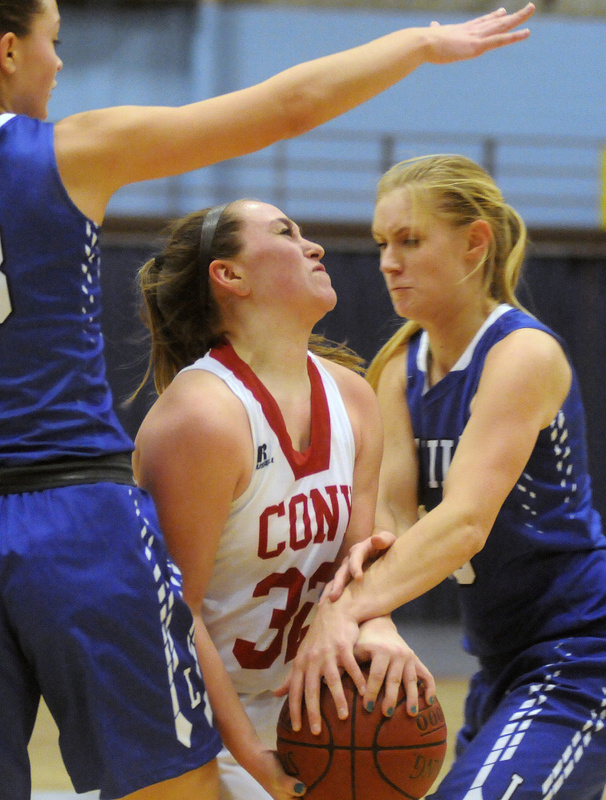 Lewiston squelched any hope of a Cony comeback by opening the third quarter on a 10-0 run capped by a layup from Harris. 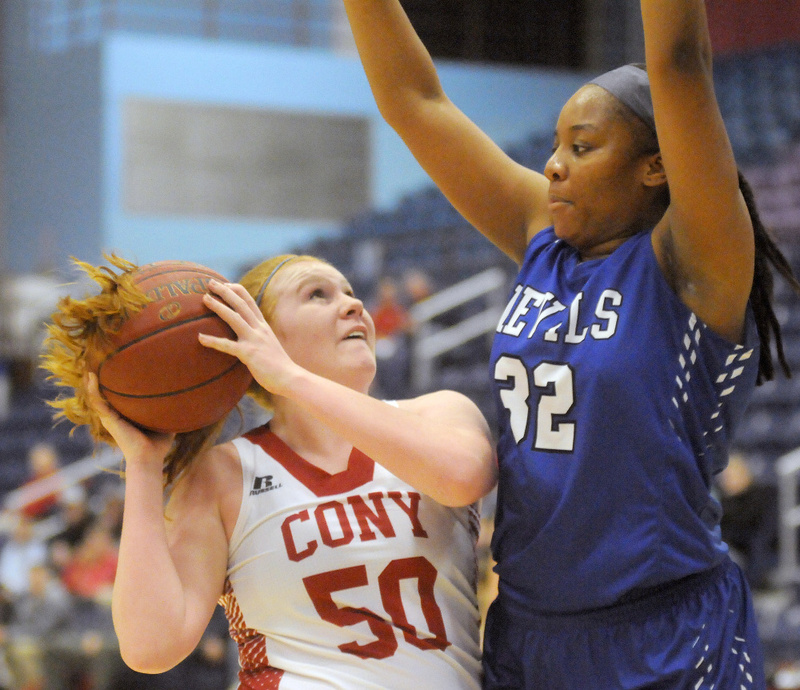 Sophomore Sidney Avery (12 points) was a bright spot for the Rams as she took the ball to the basket and drew fouls, hitting on eight free throws. 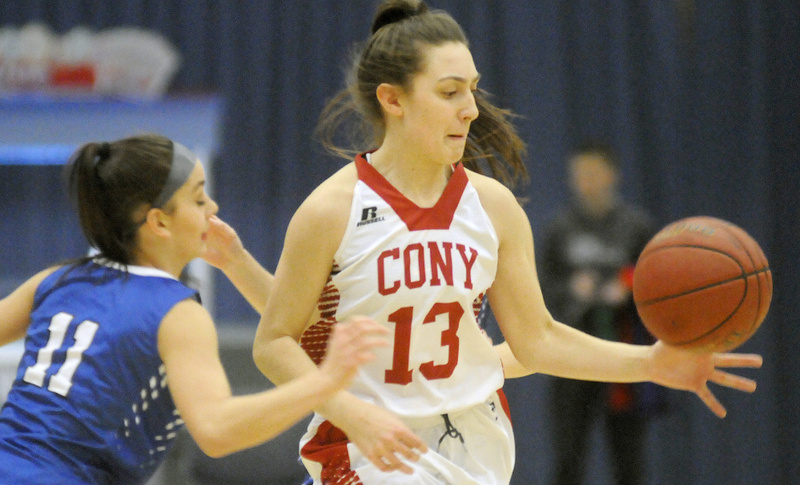 Olivia Varney added six points for Cony on a pair of 3-pointers.